The Legend of Zelda: Oracle of Seasons and The Legend of Zelda: Oracle of Ages are the seventh and eighth games in the series. They were developed by Flagship and published by Nintendo. They were released on February 27, 2001 in Japan, May 14, 2001 in North America, and October 5, 2001 in Europe for the Nintendo Game Boy Color. Special features, such as additional items, are available when played on a Nintendo Game Boy Advance. Yoshiki Okamoto's Flagship team, the ones who made the games, began developing three interconnected Zelda games that could be played in any order, but the complexity of this system led to the cancellation of one of the games. The remaining two games were released simultaneously and interact via a Game Link Cable and a password system. In Oracle of Seasons, the Triforce transports Link to the land of Holodrum, where he witnesses the kidnapping of Din by Onox. In Oracle of Ages, the Triforce transports Link to the land of Labrynna, where Nayru is kidnapped by Veran. The main plot thus being revealed once the player completes both games. In the games the player controls Link from an overhead perspective, using basic controls copied from the Link's Awakening game for the Game Boy. Link is armed with a sword and shield as well as various secondary weapons and items for battling with enemies and solving puzzles. The central item of Oracle of Seasons is the Rod of Seasons, which manipulates the seasons of Holodrum. The central item of Oracle of Ages is the Harp of Ages, which allows Link to travel through time in Labrynna. Link has to gather the eight Essences of Nature and the eight Essences of Time from dungeons to obtain the power to enter Onox's castle and Veran's tower. Currently the game has been released on the following formats: GBC (2001). 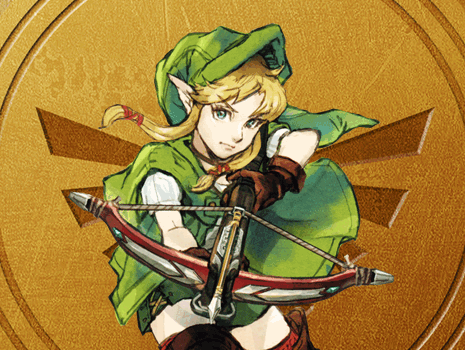 The pages below contain information and guides for Oracle of Ages.